We recycle copper from disarmed nuclear weapon systems to create a remarkable alloy called Peace Bronze, from which we cast stunning jewelry and art for those who share our commitment to a world without war. In addition, 20% of From War to Peace profits are dedicated to peace and social justice organizations committed to transforming our world. We take the ugliest things ever created in our world - nuclear weapons meant to kill and destroy us - and transform them, through the magic of disarmament and recycling, into simple, elegant celebrations of peace. This is the From War to Peace mantra: Turning weapons meant to destroy us into art meant to restore us, swords into plowshares, bombs into beauty, hate into love, and war into peace. From War to Peace is a green company. We recycle everything, making the old newly useful. 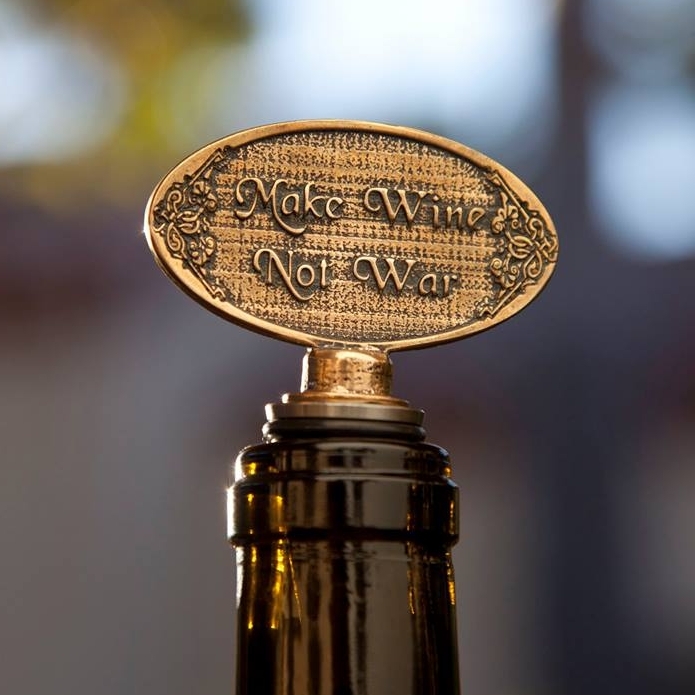 Our Peace Bronze is made from exclusively recycled material. Even our silver and gold dipped pieces are coated from entirely recycled metals. Our packaging is made from 100% recycled materials, our labels are printed with soy-based inks, and the rare plastics we use are plant-based and biodegradable. Visit fromwartopeace.com.